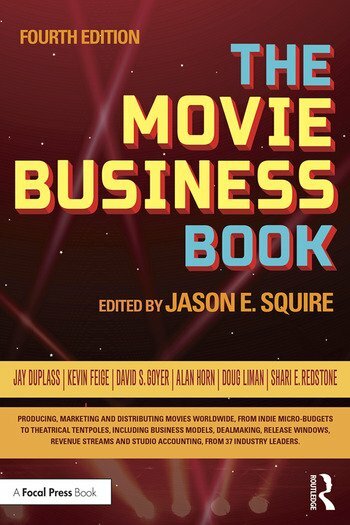 Drawing from a variety of experts in an industry that has seen major disruptions and technology advancements since the third edition, The Movie Business Book offers a comprehensive, authoritative overview of this fascinating, global business. A must-read for film students and industry newcomers, this new edition features key movers and shakers, such as filmmaker-actor Jay Duplass, (The Puffy Chair, Cyrus), Marvel Studios President Kevin Feige, Walt Disney Studios Chairman Alan Horn, director Doug Liman (Edge of Tomorrow, Mr. and Mrs. Smith, Bourne Identity), National Amusements President Shari E. Redstone, Warner Bros. Pictures Worldwide Marketing Executive Vice President Blair Rich, and many others. A definitive sourcebook, it covers the nuts-and-bolts details about financing, revenue streams, marketing, globalization, micro-budgets and much more. Jason E. Squire is Professor of Practice at the USC School of Cinematic Arts. His longstanding research helped establish "movie business" as a distinct area of academic study. Global honors include Visiting Professor, Beijing Film Academy and Master of Entertainment Studies, DeTao Masters Academy, Shanghai. After an executive career of work with United Artists, 20th Century-Fox, and with producer Alberto Grimaldi (Gangs of New York; Fellini Satyricon; The Good, The Bad and The Ugly), Squire joined the USC faculty. He has lectured in China, Japan and the United Kingdom. Media appearances include CCTV-6; China Daily; CNN Money; La Opinion; Le Monde; Los Angeles Times; Marketplace; NHK Japan; Reuters; The New York Times; Variety; Wall Street Journal.